Highlights of the Sky Bet Championship match between Leeds and Birmingham. England Under-21 coach Gareth Southgate watched Demarai Gray underline his rich potential with a goal and a sparkling performance as Birmingham maintained their fine start to the Championship season with a 2-0 win at Leeds. Substitute Jacques Maghoma then raced through the centre of the Leeds defence to score a fine individual goal in the 90th minute to leave Leeds without a home win for seven months. There was ample young talent on view but Gray, named in the England Under-20 squad for next week's Mercedes-Benz Elite Cup competition in Germany, was outstanding. He received a deserved ovation from Birmingham's travelling fans when he made way for Viv Soloman-Otabor with nine minutes left. Gray gave an early warning by going close in the seventh minute with a low angled shot which zipped outside the far post. Maikel Kieftenbeld could not connect properly with a header after Jonathan Grounds and David Cotterill had combined neatly to cause Leeds' defence more anxiety. Winger Will Buckley, making his debut after joining Leeds on loan from Sunderland, just failed to control a searching cross from Stuart Dallas with only keeper Tomasz Kuszczak between him and the net. When Gray's goal arrived in the 31st minute the chance was presented to him on a plate. 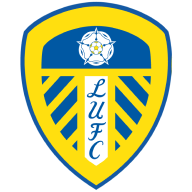 A mix-up between Liam Cooper and Sol Bamba at the hub of the home defence left Gray with time and space to lash the ball past stranded keeper Marco Silvestri with Leeds appealing in vain for a foul. It was Gray's first goal for the Blues goal this season and followed his strike for England's Under-20s last month. The nippy 19-year-old would have scored again in the 42nd minute had it not been for the alert Silvestri, who flung himself low to his left to keep out an angled drive. Leeds gave Kuszczak little to do in the first half but the Polish keeper needed a smart save to deny Dallas shortly before the interval. Alex Mowatt had an early opportunity to get Leeds back on terms in the second half but the young midfielder's close-in shot was too tame to trouble Kuszczak. With Buckley tiring in his first competitive match for several months, he was replaced by Jordan Botaka just 12 minutes after the break. Bamba headed Mowatt's corner fractionally wide as Leeds stepped up the tempo, prompted by Botaka's pace down the right, but Gary Rowett's Birmingham were well organised. Gray burst back into life by sprinting past Cooper but Charlie Taylor cleared off the line. 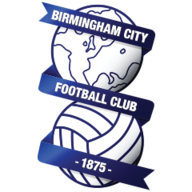 Birmingham made the points safe when Moghama netted the second in the 90th minute. "It was a bad day at the office. I am not panicking or asking for two or three fresh players. That would be wrong. We have to come up with the answers collectively in the dressing room. The players want to do well, they prepare well and train well but for some reason we don't get the best from them at Elland Road." "That was our seventh game in 21 days so the odds were stacked against us, but that was a textbook away performance. To limit Leeds to one half-chance, which was brilliantly saved, was very pleasing."